GIVEAWAY: Win a $2,500 BackYard Makeover from Santa Margherita Wine – 5 WINNERS! Say goodbye to spring and hello to summer! To celebrate the warm weather and all-things-summer, Italian wine brand, Santa Margherita, is hosting a giveaway on Instagram you WON’T want to miss! ENTER TO WIN a $2,500 Backyard Makeover! + 5 WINNERS will win a $125 Summer Prize Pack! Hurry! Contest Ends August 6th! *5 lucky winners will be chosen at the end of each weekly entry period with the chance to win a Santa Margherita-inspired Summer Prize Pack, including a variety of outdoor entertaining essentials, with an Approximate Retail Value of $125.00. **One lucky winner of the entire contest will win the Grand Prize… one $2,500 backyard makeover! Happy Memorial Day Weekend Lovelies! Hope you’re getting out and enjoying the warm weather and sun! 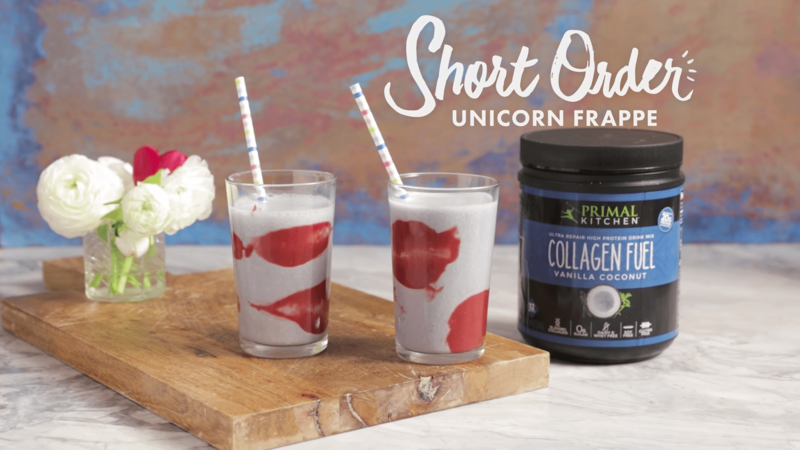 I’ve found a yummy frappe recipe – That contains beauty Boosting Benefits from Collagen! It’s a Beauty/Drink DIY recipe in one! If you’re a fan of the unicorn food craze—and who doesn’t get even a little excited by pretty hues, glitter, and sprinkles? 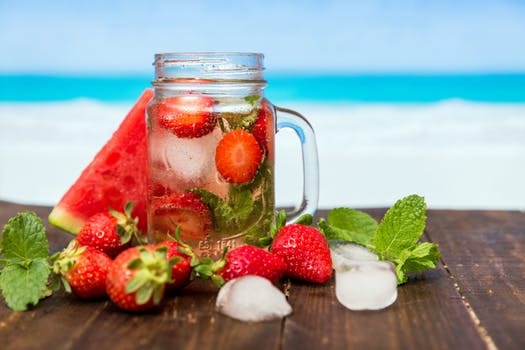 I’ve got a healthy take on a beautiful blended drink that’s perfect for summer. This recipe uses sweet strawberries to create a natural pink color, and almond milk and coconut yogurt to provide added nutrients. The secret ingredient is vanilla- and coconut-flavored Collagen Fuel, a protein powder that, in addition to providing some tropical flavor, may help support healthy joints, tendons, and muscles. Drink up!